I’ve been thinking about starting a small series of blog posts on emotional eating, especially as we are coming into this holiday season. Food is plentiful during this time, and often we categorize these holiday foods as “bad” - candy and sweets after Halloween, turkey and all the fix-in’s for Thanksgiving, and the cookies, cakes, and breads that adorn the month of December. Do you think it could be possible that you could have a relationship with food that allows you to eat ALL of these things, in moderation, and without guilt, shame, or judgment? Do you think it’s also possible to stop looking at foods as “good” or “bad” and start to just see them as fuel? I feel like for some of us, that may feel like such a foreign concept that you might be laughing at your screen. Out loud. Wondering what kind of crazy pills I’m on. Some of you may also be saying to yourself that you don’t want to eat foods in the “bad” category. You may be equating these particular foods or holiday events with fear, anxiety, or dread - feeling like having to eat them is a punishment or hurdle. Perhaps you can’t even see the value in having an “everything in moderation” approach to your relationship with food. Emotional eating, in its definition, is when we allow our emotions to control or decide our behaviors around food. That could mean restricting our intake of food, due to fears or avoidance. It could also be binging or overeating food, due to other emotions that we might be working to soothe through the comfort that food can often bring us. Either way, when we attach emotions to food as our primary means of relating to it, we end up moving away from allowing our intuition to drive the bus. Instead, we end up in a distant relationship with our intuition - not really knowing what we’re thinking, feeling, or craving - and finding that we are hard-pressed to make mindful decisions about what we choose to eat. Mindfulness is really the act of intentionally being present, without judgment. When we pair that with behaviors around food, it’s about choosing foods, thinking about foods, and eating foods in an intentional, present-focused, and nonjudgmental way. Can you think of the last time you thoroughly enjoyed food in this way?? There is a lot that goes into mindfulness when it comes to emotional eating. Emotional eating, in its full range, also encompasses a lot of other topics that I will have to probably make later blog posts or a series on - topics like body image, self-compassion, and weight bias. But for now, I hope that by introducing this idea of emotional eating we can start to explore it through this month in ways that will be helpful to you - to help you start to change your own perceptions about and behaviors around food, to ultimately lead toward a more nonjudgmental and intuitive approach to your eating patterns. Older PostWhat is a psychological evaluation or assessment? 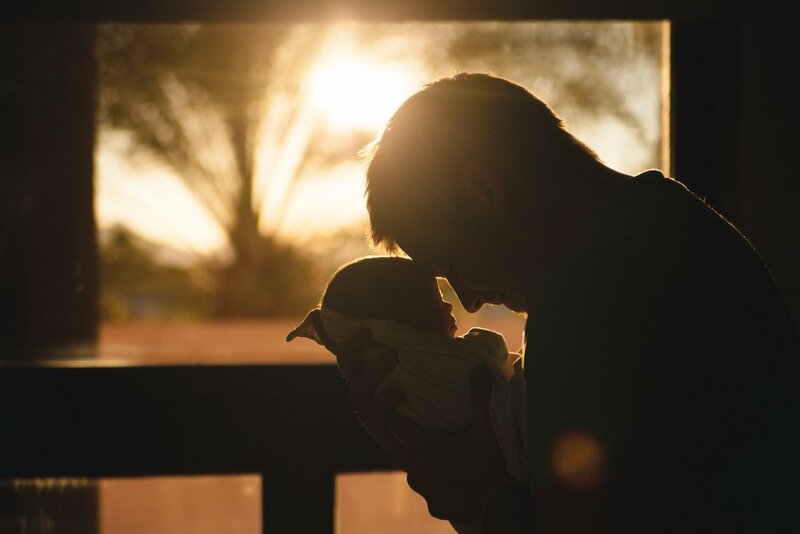 Are you a new Father and trying to figure out life? Beginning in April 2019 Dr. Alexander Chin will be leading a psychotherapy group for new and expectant dads. Whether your new addition has been a part of your family for a few months, or your significant other is newly pregnant, this group is for you. By providing your name and email address you are agreeing to receive content from Drs. Ashley and Alex. You also acknowledge that this does not constitute a therapeutic relationship or agreement to receive treatment. None of the content provided replaces a therapeutic relationship.